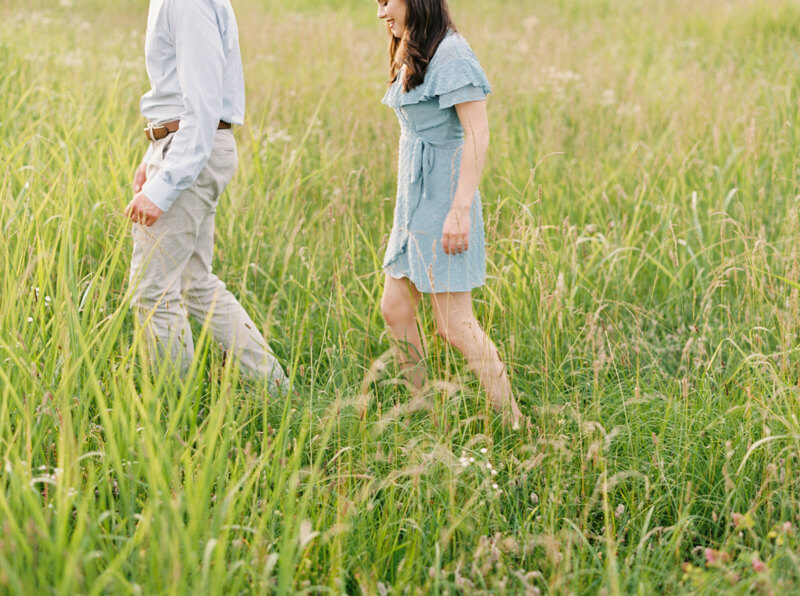 There’s something so romantic about walking through a field with your love and this engagement shoot captures the magic of that moment. Kaitlin and Hunter are a young, carefree couple eager to tie the knot. So, for their engagement shoot, there was no better way to capture their personalities than by simply joining them on a walk. 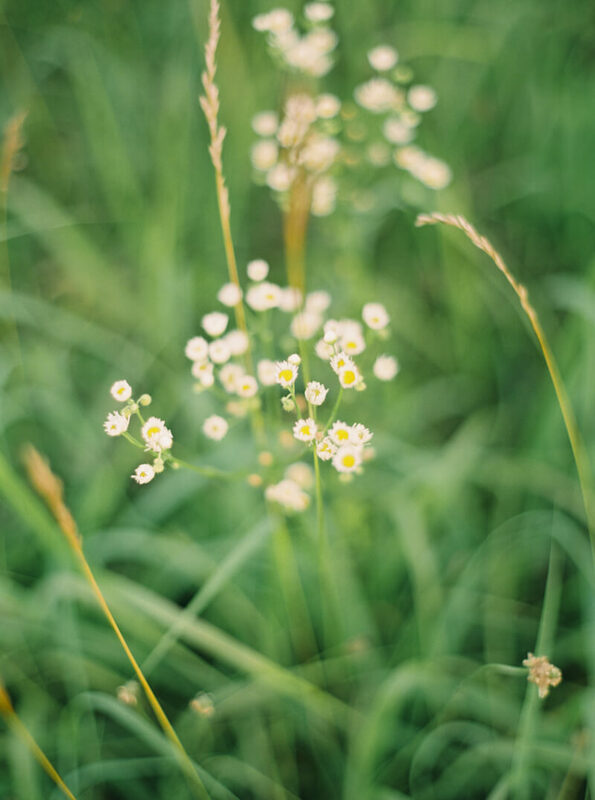 Captured at the perfect time of day, the green and yellow tones of the tall grass are eye-catching. One of the first shots has to be the engagement ring. Kaitlin clutches Hunter’s shoulder to show off her sparkle. Kaitlin chooses a dusty blue wrap dress with ruffled sleeves and Hunter coordinates with a light blue button-down shirt and khakis. With each photo, the glimmer of the sun peeking through the trees and the tops of the grass can’t be missed. The couple takes a few more photos, both embracing and playing around before changing into more casual outfits. As they walk hand-in-hand, Kaitlin is more relaxed in an off-the-shoulder top with jeans and wedge heels, while Hunter wears a pink and blue-patterned shirt and jeans. Their last photo shows them heading off into the distance, on their way to a happy future together. Engagement shoots do not have to be complicated or over-the-top; in fact, the more simple, the more natural you and your fiancé will feel. Kaitlin and Hunter chose simply to be – and every shot is genuine and full of happiness. Sometimes, the best place and best idea for your engagement shoot is to simply go where you feel most comfortable with the person you love the most.